It was two-and-a-half years ago that Warner Bros. officially announced Ben Affleck would be the new Batman in their then-Untitled Man of Steel sequel. Batman v Superman: Dawn of Justice has since been released and all eyes are on the future of the DCU. So what’s next for Affleck’s Dark Knight? Speaking with The Hollywood Reporter, William Morris Endeavor co-CEO (and Affleck’s agent) Patrick Whitesell revealed that currently there are two movies left on Affleck’s contract but that another could be on the horizon. 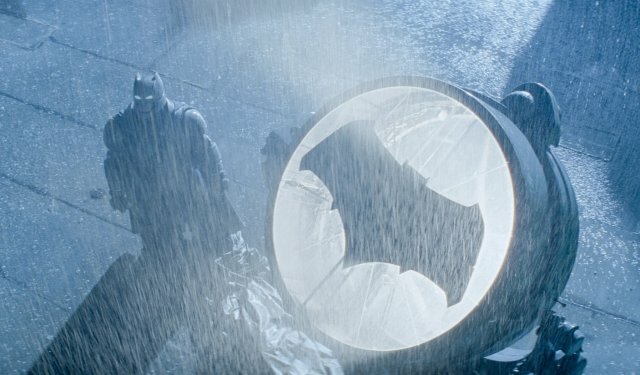 Last summer, it was revealed that Affleck would co-write a solo Batman movie with comic scribe Geoff Johns with an eye toward directing it, though no further information on this film has been released since. It is interesting to note however, in contrast to the extensive contracts of Marvel Studios, that Affleck’s appearance in David Ayer’s Suicide Squad later this year doesn’t count toward his final tally. Production on Justice League: Part One is set to begin April 11 in London. Affleck will be joined by his fellow Justice League members Henry Cavill as Superman, Gal Gadot as Wonder Woman, Jason Momoa as Aquaman, Ray Fisher as Cyborg, and Ezra Miller as The Flash. Amber Heard is set to play Queen Mera in the film as well before moving to the solo Aquaman movie in 2018, with J.K. Simmons set to appear as Commissioner Gordon. The Zack Snyder-directed movie will debut in theaters on November 10, 2017.